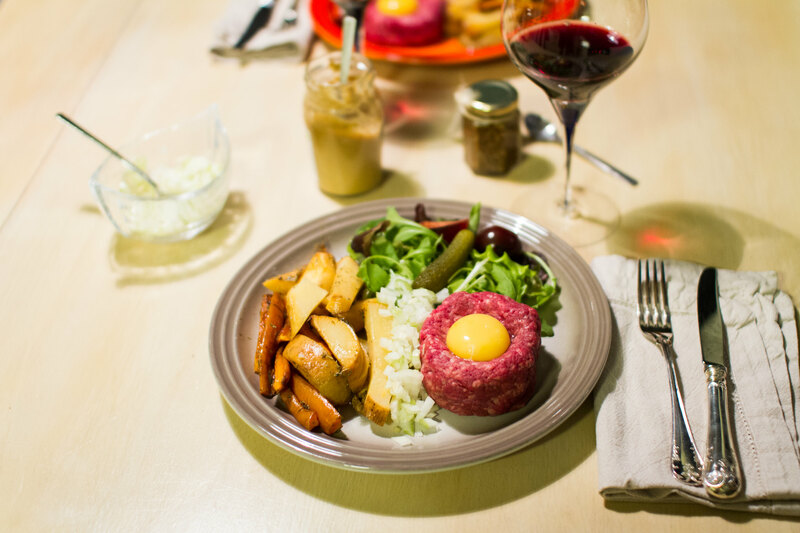 Boeuf tartare is definitely one of our top ten dishes. Not only is it such a wonderful dish in terms of textures and tastes, but it is also quite easy to modify and get an almost completely new dish, only by changing a single ingredient. One other thing is that the dish really highlights the best of the food and brings out the natural flavours of each ingredient. This makes it crucial to have great ingredients from good sources to have the possibility to really enjoy the dish. Dinner with boeuf tartare with elderflower capers and oven vegetables. This time we had organic minced meat from Gröna Gårdar, which is a cooperative of farms from around Gothenburg with only organic and grass-fed meat. The other ingredients were chopped brown onion, dijon mustard, a raw egg yolk and elderflower capers (!). The elderflower capers we picked up during our visit to the Street market in Gothenburg the other weekend. They were really wonderful to taste, small capers with a hint of elderflower even though it was really elderflower berries rather than capers. 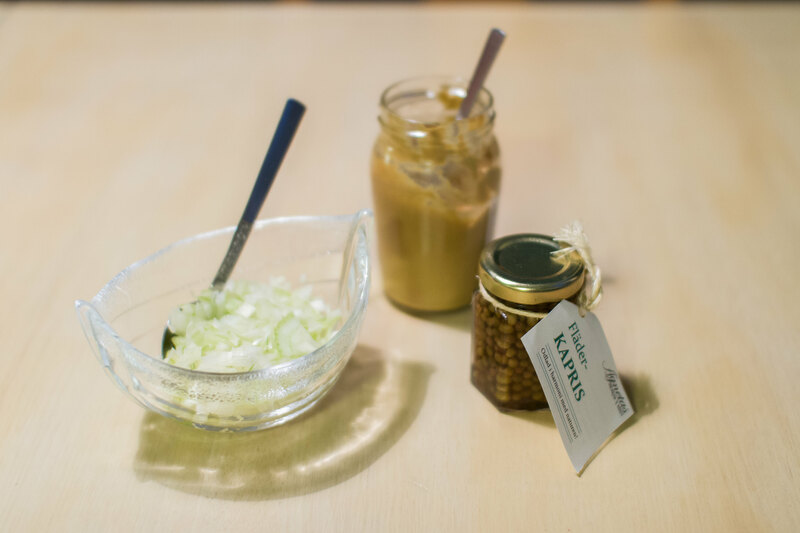 The side ingredients for the boeuf tartare. On top of that our black home grown tomatoes have finally been ready for harvest. We found two that were not half green and half black, not too bad. We have been afraid that non of the tomatoes would be ready before the winter, but we were happy to have that fear cleared out of the way. They tasted really nice as well. A huge plus! 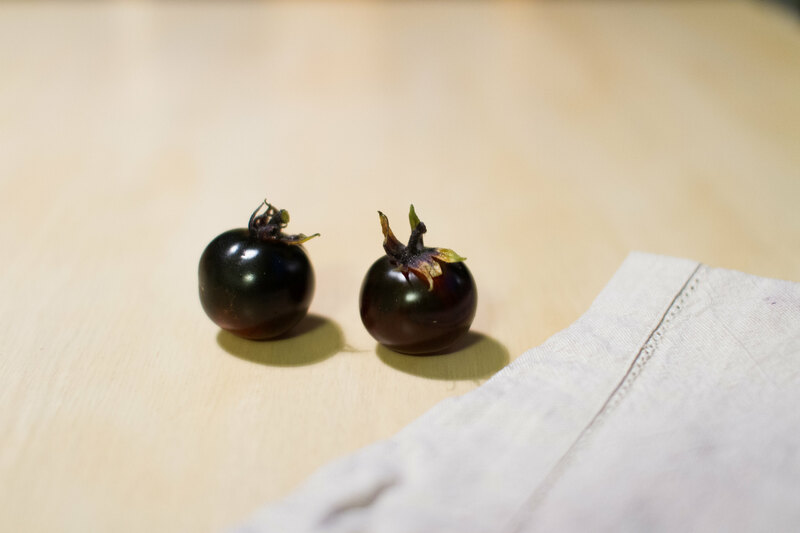 Two of our home grown black tomatoes. 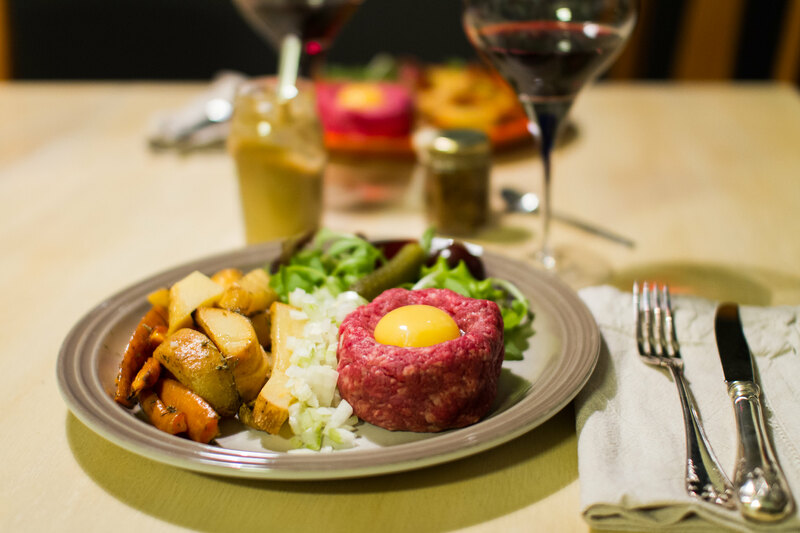 Together with the boeuf tartare we also had a small green salad and some oven roasted turnip and carrots. Elderflower capers. 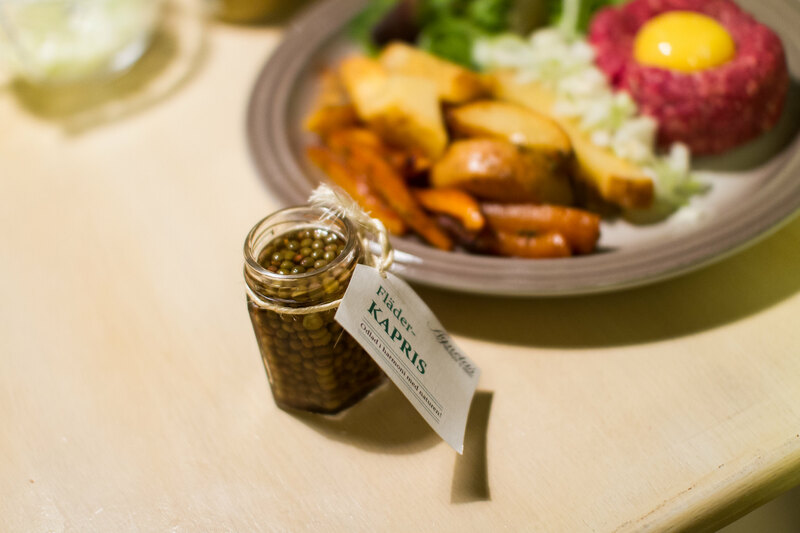 An interesting substitute to regular capers which really increased the experience of the dinner. For the first time in a while we also enjoyed a glass of red wine to the dinner. The Argentinian Cabernet Sauvignon went really well with the meat and the capers. Smooth with strong hints of plum, chocolate and red berries as well as some hints of licorice. Light but deep taste which lingered semi-long. Enjoying a glass of red to the boeuf tartare.